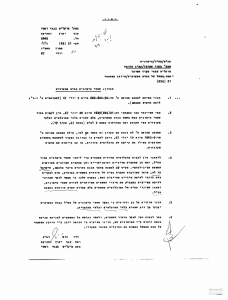 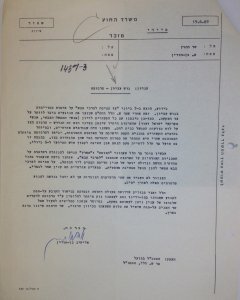 A 1969 memo to the Foreign Minister, reveals Israeli government awareness of the illegal nature of building settlements on lands allegedly seized for military needs. 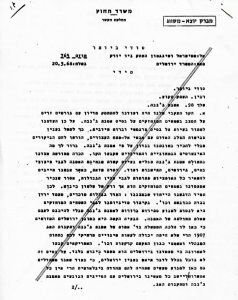 The document (Hebrew). 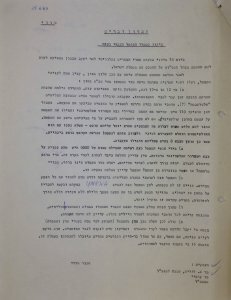 The 1972 expulsion of thousands of Bedouins from the Rafah Salient area was the epicenter of one of the major petitions to the High Court of Justice in the early years of the occupation. 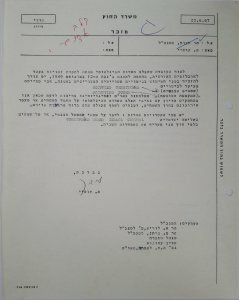 The report of the military commission of inquiry, declassified only following a lengthy litigation process and available in full here (Hebrew), reveals that the expulsion was meant to serve Israeli settlement in the occupied territories, rather than security purposes, as the state had argued in court. 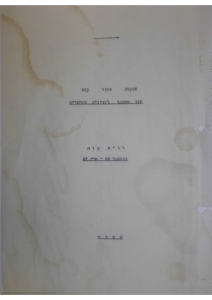 The document (Hebrew), Courtesy of Gershom Gorenberg. 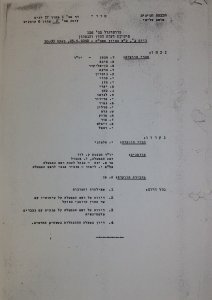 This document presents a testimony of a mass deportation of 110 Palestinians, who were taken from the Gaza Strip and left to fend for themselves in the Sinai Peninsula, as well as a punitive house demolition operation in the Gaza Strip, shortly after its occupation in June 1967. 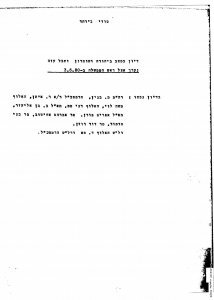 The document (Hebrew, English). 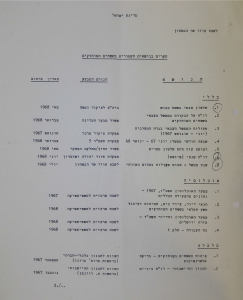 Over the course of the first year following the Six Day War, the Knesset Foreign Affairs and Defense Committee discussed current affairs and strategic questions both in the committee forum itself, as well as with guest speakers, including government ministers and top military and police officials. 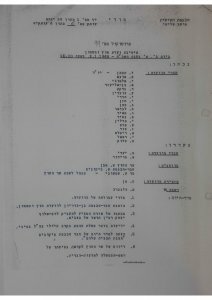 Part 3: Transcripts of May, June 1968 sessions (Hebrew). 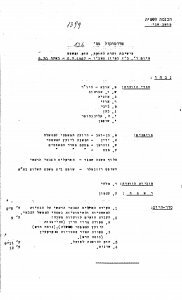 Part 2: Transcripts of October 1967-May 1968 sessions (Hebrew). 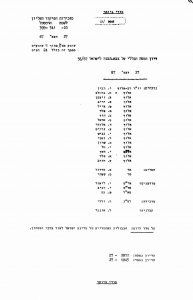 Part 1: Transcripts of June-October 1967 sessions (Hebrew). 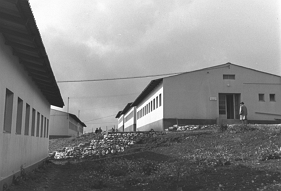 The occupied territories? 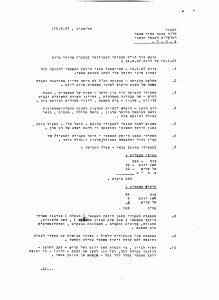 Or is it the administered, held or liberated territories? 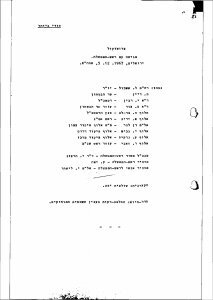 Is it the West Bank, Judea and Samaria, or maybe even Judea and Ephraim? 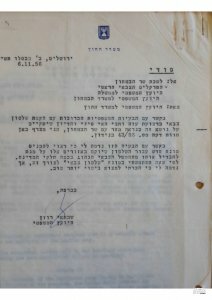 The exact name by which to refer to the territories newly occupied by the IDF in the war was already a subject of intense discussion in the early months of the occupation. 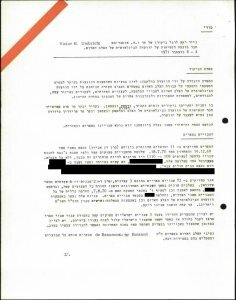 The documents (Hebrew). 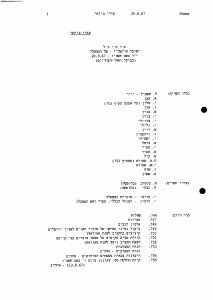 During the Occupation’s first year, Israeli government agencies conducted a long list of studies and surveys on the occupied territories, their population and their economy. 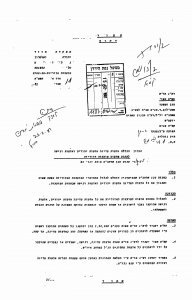 The titles of these surveys and studies offer a glimpse into the interests of Israeli government in the territories even at this early stage of the occupation. 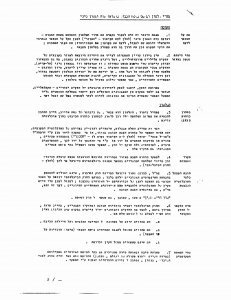 Two of the studies are also available here. 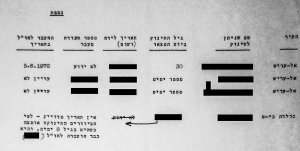 The documents (Hebrew). 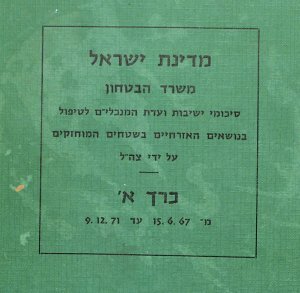 A policy paper prepared in July of 1967 analyzes seven possible scenarios for the future of the West Bank and the Gaza Strip, from annexation to Israel to an independent State of Palestine. 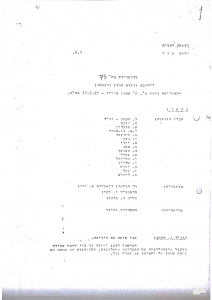 The document (Hebrew). 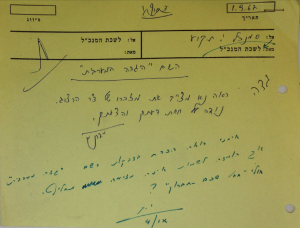 As early as the first days of the Israeli occupation in the West Bank, various Israelis (intelligence officers, reporters and others) met with Palestinian leaders to hear their thoughts about the future. 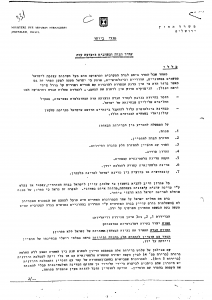 Roughly a month into the occupation, Deputy Director of the Israeli Ministry of Foreign Affairs (MFA) Shlomo Hillel prepared a three-page report summarizing the positions expressed by “some of the most important leaders”. 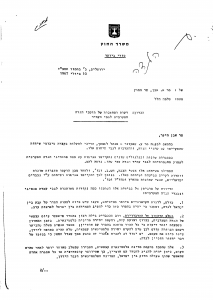 The document (Hebrew). 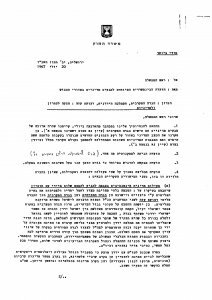 On July 4th, 1967, Prime Minister Levi Eshkol appointed a Special Inter-Ministry Committee for Diplomatic Contacts in the Occupation Areas. 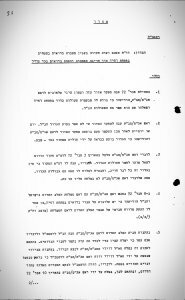 The committee was tasked with making findings and drafting recommendations for Israel’s policy in the Occupied Territories. 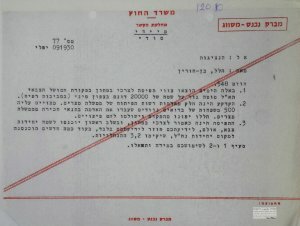 Dr. Yaacov Herzog, Director General of the PMO was put in charge of the committee’s work, and membership included Maj. Gen. Chaim Herzog, Dave Kimchi (Mossad), Moshe Sasson and Shaul Bar Haim (Ministry of Foreign Affairs). 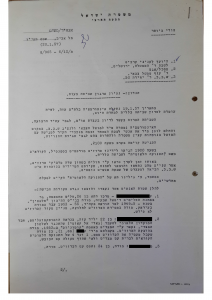 On July 20th, the committee submitted its findings and recommendations: a two-page summary and a number of short annexes which detailed reviews and proposals for Israeli rule in the West Bank. 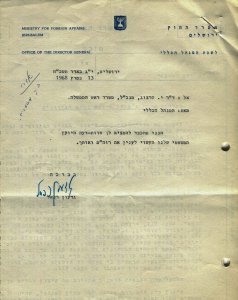 The document (Hebrew). 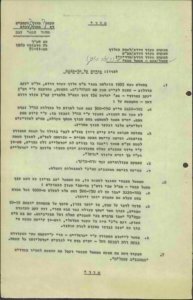 In late 1967, three weeks after the brainstorming session at the Prime Minister’s, Chief of Staff Major-General Yizhak Rabin held a discussion at the IDF General HQ. 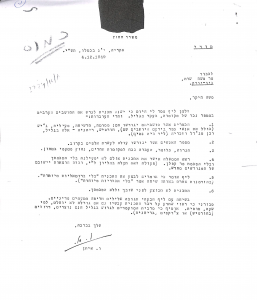 Titled “State of Israel’s potential borders in view of security needs” and held over two meetings, members of IDF senior command presented their views and assessments on Israel’s interests regarding its borders and future of the Occupied Territories. 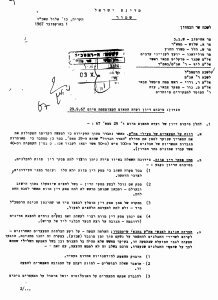 The documents (Hebrew).